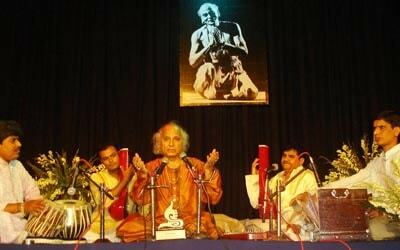 Guru Kelucharan Mohapatra founded SRJAN in 1993. And paramount among the many initiatives closest to his heart was the annual “Guru Kelucharan Mohapatra Award”. In memoriam, we remember his affection and abiding concern for fellow artistes and colleagues in Dance, Theatre, Music & Cinema. The Award Festival has always been organised with one specific aim – to create and sustain awareness of our classical traditions in dance and music. In this, we at Srjan have always shared our Guruji’s deep interest in Hindustani and Carnatic Art forms and his known enthusiasm for presenting artistes from other creative areas. 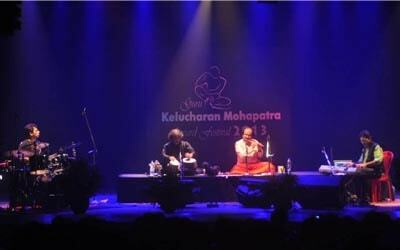 On his tours abroad he had met, interacted and even performed alongside some of the biggest names in the Indian classical Arts. Today, we try to maintain that particular enthusiasm in providing a viable platform and ambience for a number of quality artistes from all over India. 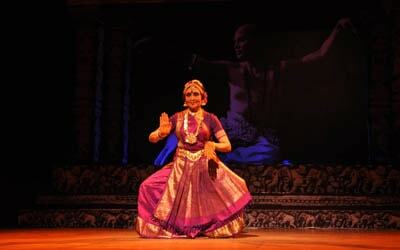 Starting with a single-day festival in 1995 (24 years ago), the Award Festival now grown to a 5-day celebration of scintillating performances featuring 9, artistes and a dance recital by Srjan’s own repertoire group. The aim here is to give our Odisha audience an exposure to classical fare of the highest level; we do aspire to sensitise captive audiences, especially the younger section and students, so that an enthusiasm for the subtle flavours of classicism is planted in them. In planning the festival we try to provide a mix of famous performers and some relatively new names who are all artistes of quality. The idea is to showcase artistes whom our Odisha audience has not yet tasted, both established and budding artistes. Apart from the obvious novelty of a star performer, the added benefit is to a new generation of dance and music students who get a direct exposure to artistes that they have only heard about. Plus, we take care in designing each evening’s performance with an eye on the most suitable combination of artistes and genre.